Artist discovery is indeed a self fulfilling journey. Each one of them has their own unique and fascinating story to share – and that is what makes their art special. The craft may not be new, but the artists’ journey is their own. So it is always exciting to get to know them, and share their story. We recently met up with Kaka Sumi – a shoe designer from Nagaland, who just launched his new collection of men’s sandals (available at Roots & Leisure Marketplace. Details below). We had a chat about what makes him so passionate about shoes, and of course – his new collection. Hi Kaka! We love what you are wearing – especially your sandals! Tell us a little bit about yourself. How was it growing up in Nagaland? Tell us how this fascination with shoes started. Growing up, I was obsessed with the ‘art and pop’ culture of the ’90s. In fourth grade, I remember, I finally got access to international (fashion) publications. That’s when I became even more curious to learn about the latest trends – on the other side of the world. These fashion magazines taught me a lot – they had played a key role in shaping the person I am today. Now how does the shoe come into my world? Well, my discovery of these magazines happened at a time when women’s stilettos were the hottest fashion items. Not only was it fascinating from an aesthetic point of view, but I also became really interested to learn about the functional requirements of a good shoe (I mean these super high heels had to be comfortable if the entire population of devotees are going to wear ’em right?). That’s when I became genuinely interested in studying the work of great designers . I also started learning about the ergonomics of human movement, and how shoes affect the gait. I used to enjoy critiquing the work of shoe designers, and would often sketch out the corrections (for myself) – to be kept as an archive. In the process, I developed my own style – focussing equally on style and comfort. 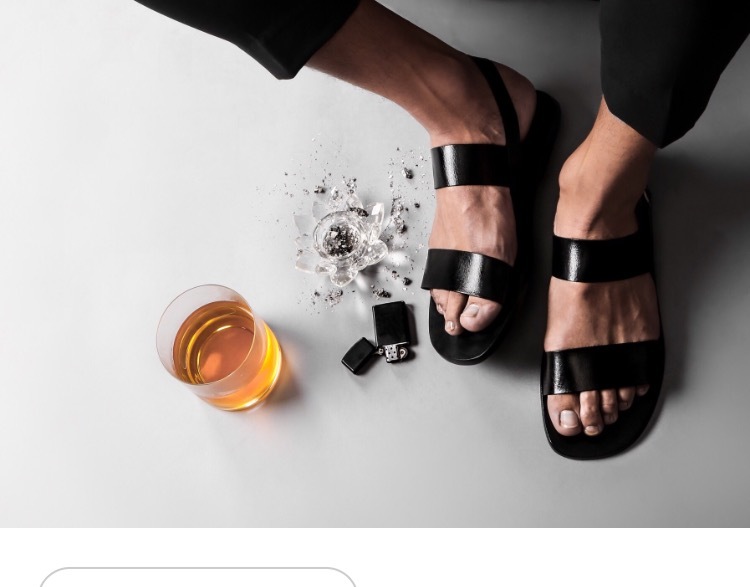 I also realized that men’s shoes needed variety, which sort of pushed me towards launching my own line of comfortable – yet super stylish sandals for men. The Adams | The Kaka Sumi Men’s Footwear Collection. The Gabriel | The Kaka Sumi Men Footwear Collection. The Scotch | The Kaka Sumi Men’s Footwear Collection. 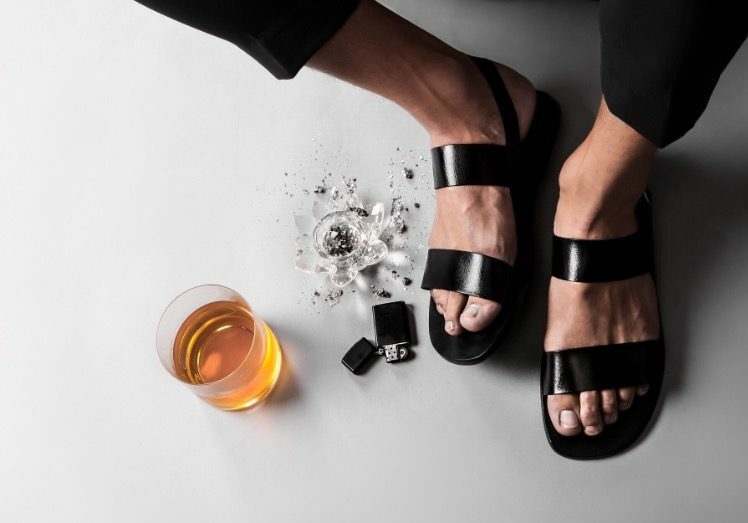 What is the theme behind your strappy men’s sandals? Just as it is about fashion and elegance, it is also about being practical; I mean, the Indian summers can be long and very hot! So the whole idea is to find a solution to this. Also while filling this gap, it is also about genuinely wanting to make men wear better shoes. Why should they be left with the boring generic designs? Especially when our country produces some of the finest leathers. Also, why should these leather crafts only be exported overseas? With all of these questions and thoughts in my head, I finally launched my own line of stylish leather sandals for men. In addition to the design, a lot of thought also went into the technical aspects, for example, I specifically chose leather for the soles as well – to prevent slippage. I saw that this is a big problem for sweaty feet. With this first collection, I tried to combine carefully crafted, comfortable flat sandals for men – with experimental designs. It has three categories : Classic, Dressy formal and Sophisticated casual contemporary. Price range is from INR 3800- INR 4500. They are available on Kaka Sumi’s store at Roots and Leisure Shop. Where else do you retail? As of now, I’m looking at Roots and Leisure’s shop for retailing – where interested buyers can buy online.I also retail through social media, and I ship across the country (from Nagaland). I have also just launched a home based studio in Dimapur. More Shoe Art on KaKa Sumi Design’s Instagram! Roots & Leisure Marketplace is Live!